5 Reasons to keep your public areas tidy! Clean and tidy areas are good for business. If you have a space which the public use, keeping it free from rubbish and waste will encourage visitors. No successful business will want to discourage people from visiting, or end up attracting the kind of visitors who enjoy “unmanaged spaces”. This report from Scotland shows that people link litter with anti-social behaviour like fly-tipping and even street drinking. This is also a security risk to nearby buildings. Safe from trip hazards, spillages. Badly managed waste can end up in places where it can cause a problem. Spillages can be slip hazard and trips and falls onto glass can cause serious injuries. Piles of rubbish can block entrances to public areas, causing obstructions which in turns affects emergency situations. Waste can also constrain choices when moving between areas, reducing efficiency. Litter can be dangerous. Both the Bradford City Stadium fire in 1985 and Kings Cross Station fire in 1987 were caused by cigarettes setting light to litter, killing 56 and 31 people. A key cause of waste is food and food packaging. This attracts vermin which are a health risk to humans and domestic animals. Yes Waste is always glad to talk rubbish with you! 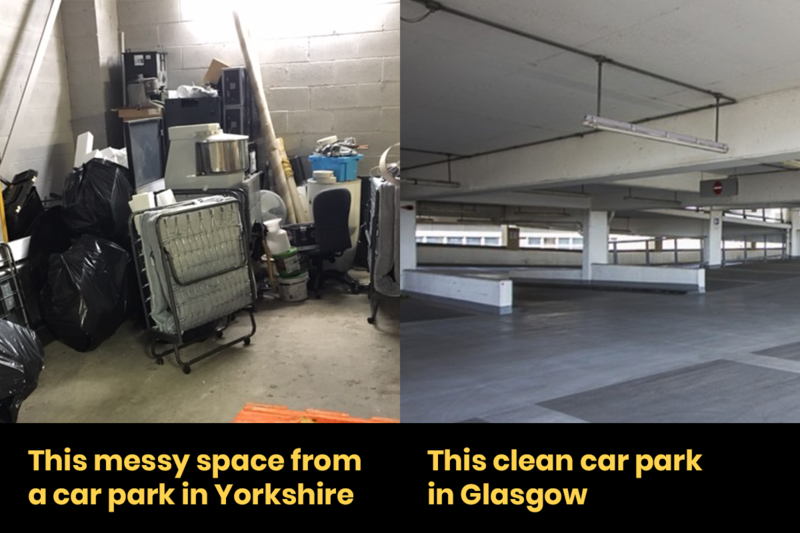 We can clear most commercial and public areas of rubbish, whether you have a building site, office clearance or anything between. We can arrange litter picking and manage your bins too. Just call 0800 058 2522, email info@yeswaste.com or message us using the chat icon. Appointments can sometimes be made for the same day, so we offer a speedy and professional service. Our Waste Collection Teams cover South Yorkshire and West Yorkshire. If your public space is outside these areas, we’ll be pleased to discuss what we can do.